There is nothing like warm weather to kick off the spring selling season in Nashville. And many who got a head start were rewarded with sales according to the latest press release from the Greater Nashville Realtors. “A few days of warmer temperatures helped our region finish strong in February, closing over 2,500 units. We saw year-over-year increase in all categories, with the largest coming in the multi-family sector. 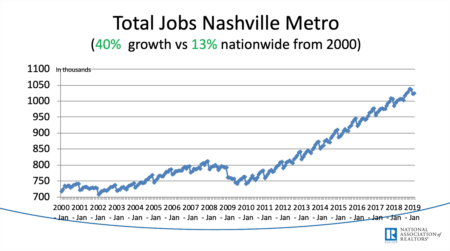 Recent announcements regarding economic growth from companies like Mars Petcare, LG and SmileDirect will only to continue to drive our market upward,” said Scott Troxel, President of the Greater Nashville Realtors. Closing in February increased 9.3% over the same month last year. It’s typical that we see an increase in inventory starting in February and peaking in mid summer. I would be concerned if this was not happening. The temperatures got us off to an early start, but it’s the jobs and people moving here that is driving the real estate market in Middle Tennessee. One of the biggest threats to growth is our ability to keep up with demand in both commercial space and residential housing. Not only is it tough to find available real estate, but the supply chain is running thin on labor and materials. What give me hope is the “never say never” attitude of the great people who call Nashville home. When 12,000 structures were damaged in the 2010 flood, we didn’t wait around for help. We got up the next day and went back to work. This is truly what makes Nashville a great place to live, the people. If you need more information on the market in your neighborhood, just hit reply and let me know. The Daily Deal in Nashville is this beautiful renovated, bungalow in Inglewood [East Nashville] for less than $340,000. 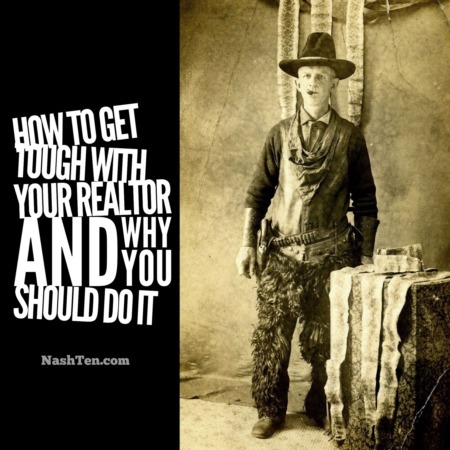 Will Nashville overcome the huge shortage of lots?